It’s not just an asset or financial investment, it’s your home. Are you sure your homeowners insurance protects it? As an independent insurance provider, what makes Standard Insurance Agency so competitive is our ability to work with a number of different insurance companies to find you the best rate for the insurance coverage your home needs. However, it’s what makes us so popular that gives us our real advantage: personalized service from your dedicated agent. That’s right, we are a Connecticut business with Connecticut agents doing business right here in our home state. We are in touch with what’s going on here and we are always ready to respond to your needs. We work through the toughest of times right along side you, ready to help guide you through choosing coverage, payment options or processing a claim. Although flooding is not covered by your homeowners policy. If you are interested in flood insurance we offer it through the National Flood Insurance Program. If your home is a condominium we also offer condo coverage that will fit your unique insurance needs. Get the protection you need at a price you can afford. 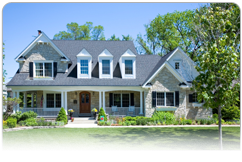 Call or request a quote for Homeowners Insurance from Standard Insurance Agency today.